The concert season is over and yet the Olympiastadion Berlin doesn’t come to rest. From the 31st of July to the 5th of August, the stadium can exclusively be visited with a guided tour. 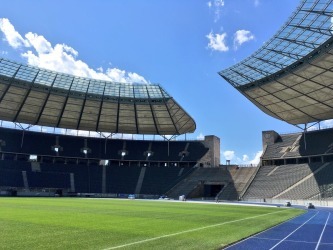 Due to the construction works concerning the 2018 European Athletics Championships, it is not possible to visit the Olympiastadion Berlin on your own. 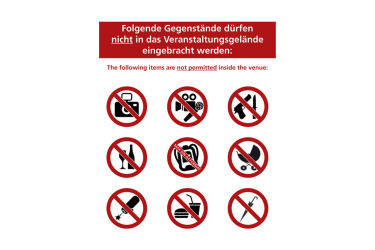 From the 6th to the 12th of August, throughout the European Championships, the Visitor Center will be closed. The stadium can NOT be visited during the aforementioned period. More information can be found in our opening hours: July 2018, August 2018 and September 2018. Please note that restrictions and closures can occur during the tours. The available tours can be booked online here. Opening hours: November – March: 10 a.m. until 4 p.m. , April – October: 9 a.m. until 7 p.m., August: 9 a.m. until 8 p.m.